Scenic, perfect for launching a kayak and is also often a calm, safe spot to bring younger children. 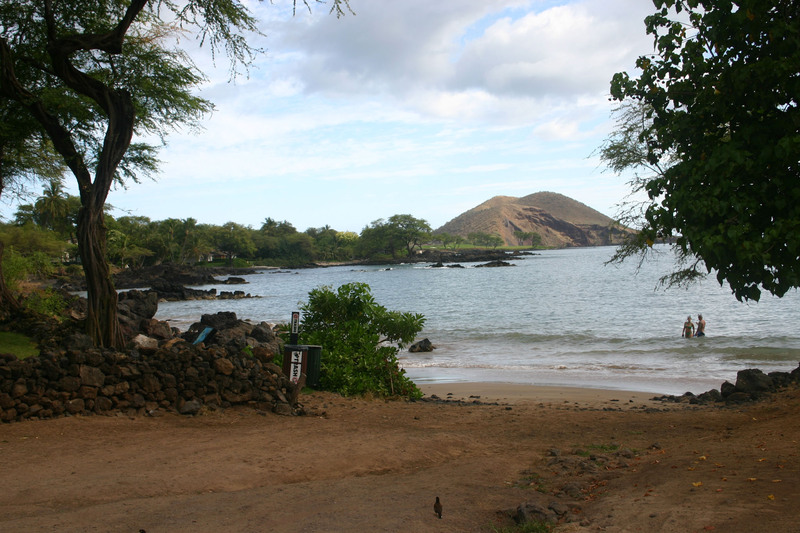 In a nutshell: Makena Landing is scenic, perfect for launching a kayak and is also often a calm, safe spot to bring younger children. Minuses: Not much sand; very close to the road. This is a well-used cove and landing for kayaking, fishing, snorkeling and shore dives. The gentle sandy entry if also good for little ones – add in the showers, restrooms and parking, and that’s what makes this a favorite place for Maui families to hang out on the weekend. The beach sand slopes gently in to the bay, and wave action is usually minimal (except during large summer swells) so it’s often a good beach for little ones. There are also plenty of sea turtles, and the snorkeling and shore diving gets progressively better the further out on the northern side (Nahuna Point) that you go. There is also plenty of sea life and shallow reef to explore in the large bay, on calm days this can be a very good place to learn to snorkel. Facilities: Bathrooms, showers, kayak rentals.